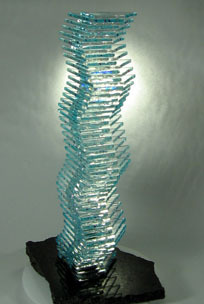 Dennis also creates a line of glass sculptures available for custom order. 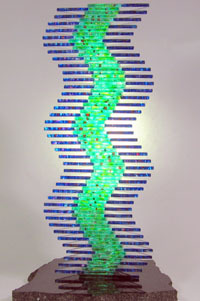 A special "crystal-clear" glass is used, and each piece is hand-cut, scalloped, polished, painted, stacked and adhered to a base of marble or granite. Each piece is approximately 19 inches tall and hand-signed. 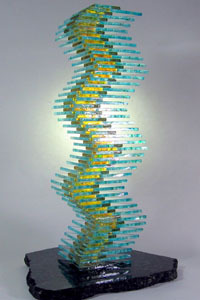 Sculptures can be ordered in one or two colors and are available in innumerable color combinations.